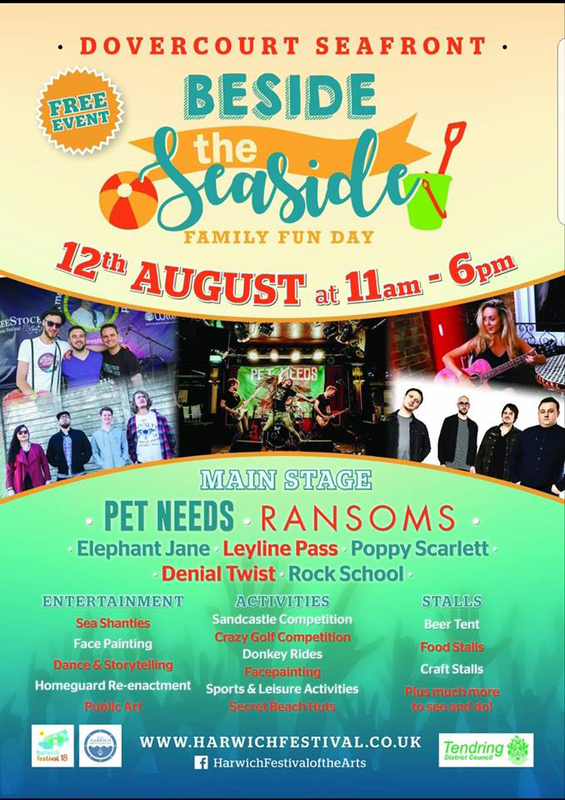 The Beside the Seaside festival is back on 12th August 2018 between 11am and 6pm. Featuring performances from some of the regions brightest talent as selected by Harwich based award winning Live Music promoters – Essex Rocks. Performances will come from Pet Needs, Ransoms, Elephant Jane, Leyline Pass, Poppy Scarlett and Denial Twist. There will also be a performance from musicians from Harwich Based Rock School. Limitless Dance – Isaac and Andi from Limitless will be teaching a variety of basic, foundational breaking moves to give both a physical and mental workout challenging strength, balance, coordination and creativity! They will also be showing everyone what they can do if you continue to practice the skills you learn in their workshop. Art Workshops – Making abstract Artwork using “Arcylic Pour” techniques and how to enhance and finish this abstract art. There will also be Heritage Huts run by the Harwich Society and New Heritage Solutions, storytelling, face painting and free craft workshops. Children’s Treasure Hunt, Food, drink, and craft stalls, Donkey Rides, Sandcastle and Crazy Golf competitions, TDC hosted Sports and Leisure activities. There will also be additional activities at the Dovercourt Skaterink (including an open air screening of Grease) and from Quiver Windsurfing at the Boating Lake.